Peru is located in the central part of South America and borders on the north with Ecuador and Colombia, on the east with Brazil and Bolivia, on the south with Chile and on the west with the Pacific Ocean and is divided into 25 regions and the province of Lima. Many visitors to South America choose the Andes Mountains in Peru as their first choice, and for good reason. Besides being stunningly beautiful, the Andes Mountains in Peru provide a myriad of attractions, from historical ruins, to charming mountain towns and of course their own mountain flora. 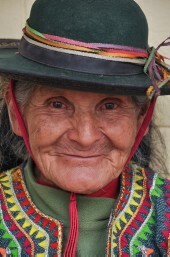 In the smaller villages the people still dress in traditional cloth and are among the most colourful people you will find anywhere in the world. 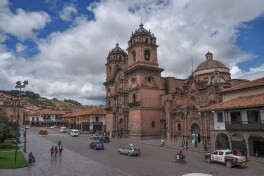 Cusco is a region in Peru, it’s capital is also called Cusco. It is a city with a rich history. It was the capital of the great Incan Empire for 200 years, but excavations indicate that it was inhabited as much as 3000 years ago. Cusco has many wonderful sites to visit. Plaza de Armas is a big plaza in the downtown area with small gardens, benches and statues. Numerous churches and shops with charming stone architecture surround it, which adds to the aesthetics of the area. The ambiance is charming and peaceful. 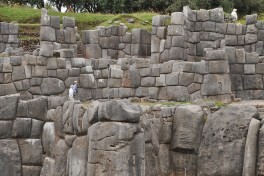 Sacsaywaman is located on a steep hill high above Cusco and was one of the districts of the city during the Incas time. For many years it was considered the fortress. However modern researches think that this was the residential area for wealthy nobles and had rich houses, temples and squares for religious ceremonies. Although the Spanish demolished the buildings and used the stones for construction of churches, the ruins of the district are still impressive! The walls with perfectly fit stones are about 6 meters tall. The estimated volume of stone is over 6,000 cubic meters. Estimates for the weight of the largest limestone block vary from 128 tons to almost 200 tons! It is assumed that about 20,000 people were working on the construction of the complex. Arequipa is a region in southwestern Peru. 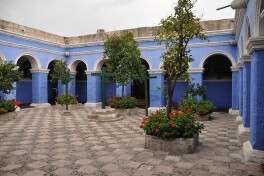 Its capital, also called Arequipa, is Peru’s second-largest city. This region has a rough topography which is characterized by heavy layers of volcanic lava covering large areas of its inter-Andean sector. Plateaus range in height from medium to high-altitude ones such as located in the zones of Chivay. Volcanic cones are seen emerging above the plateaus and forming snowfalls, such as Volcan Misti and Volcan Chachani. In contrast with these heights, there are deep canyons, as the wonderful Colca Canyon. This canyon is reported to be the deepest in the world, thought to be twice as deep as the Grand Canyon in the USA. What brings increasingly more visitors each year, in addition to the awesome sights, are the Andean condors. A highlight of the Colca Canyon is a stop at Cruz del Condor, the pass where condors soar gracefully on the rising thermals occurring as the air warms. Moquegua is a small department in southern Peru that extends from the coast to the highlands. 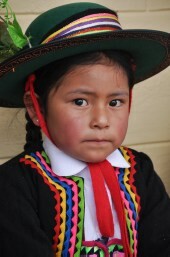 The region’s name is of Quechua origin and means “quiet place”. 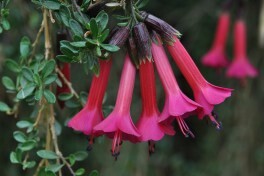 It is not much visited by tourists as accommodation can be a problem, but it has many treasures for botanists. 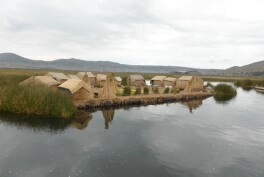 Titicaca is a lake in the Andes on the border of Peru and Bolivia. By volume of water, it is the largest lake in South America. It is often called the highest navigable lake in the world, with a surface elevation of 3,812m. Taquile is a hilly island in lake Titicaca located 45 kilometers east of Puno. It is narrow and long and was used as a prison during the Spanish Colony and into the 20th century. 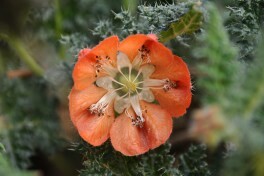 In 1970 it became property of the Taquile people, who have inhabited the island since then. The island is 5.5 by 1.6 km in size. 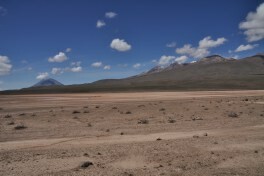 The highest point of the island is 4,050 meters above sea level. 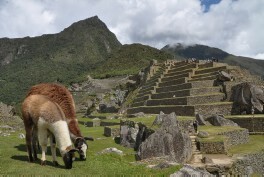 Pre-Inca ruins are found on the highest part of the island, and agricultural terraces on hillsides. 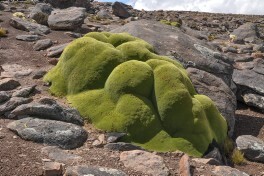 From the hillsides of Taquile you have a view over the white snow tops of the Bolivian mountains. 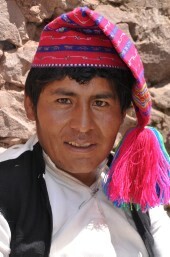 The inhabitants, known as Taquileños, are southern Quechua speakers. Life on Taquile is still largely unchanged by mainland modernity’s. There are no cars on the island and no hotels and a few small stores sell basic goods. Machu Picchu is a world famous 15th-century Inca site located 2,430m above sea level and is located in the Urubamba Province. It is situated on a mountain ridge above the Sacred Valley which is 80km northwest of Cusco and through which the Urubamba River flows. Most archaeologists believe that Machu Picchu was built as an estate for the Inca emperor Pachacuti (1438–1472). Often mistakenly referred to as the “Lost City of the Incas”, it is perhaps the most familiar icon of Inca civilization. 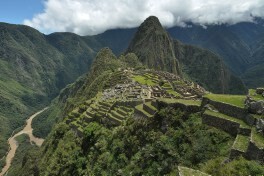 Since then, Machu Picchu has become an important tourist attraction. Machu Picchu was declared a Peruvian Historical Sanctuary in 1981 and a UNESCO World Heritage Site in 1983. In 2007, Machu Picchu was voted one of the New Seven Wonders of the World in a worldwide Internet poll. Puya Raimondii is an ancient, very rare and the largest bromeliad in the world. In some preserved areas of Peru and Bolivia you can see its gigantic inflorescence reaching up to >10m height and 2,5 m diameter. 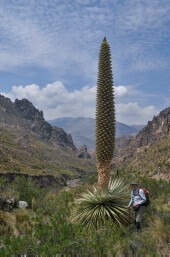 Due to its size the Puya raimondii is considered to be the largest inflorescence in the world. 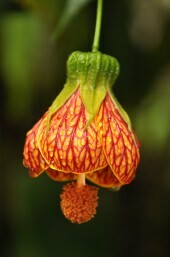 It has about ten thousand flowers and six million seeds in each plant. To grow such a magnificent inflorescence Puya saves its strength all its life, which is quite long. On average the “maturity” of the Puya starts after 50 years. 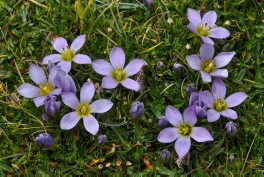 However, there are species that start blooming after 150 years. 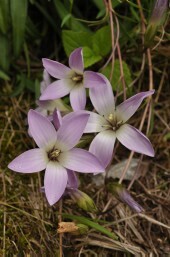 The Puya raimondii are pollinated by bats and large insects. The sad thing is that the parent plant dies after it flowers and fruits for the first time (monocarpic). Maybe, that’s why these species are endangered in the wild with only a few small populations per square km. 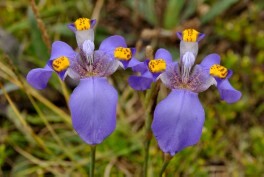 Today, there are only a few hundred thousand species of these “spikes”, but these flowers were growing all over the Andes in pre-historic times.